India has the largest population of the tribal (indigenous) people in the world. Tribals constitute 8.14 percent of the total population of the country, numbering 84.51 million (2011 Census). Tribal people are the poorest in the country. 52 percent of Tribal population is Below Poverty Line. Over 50 percent of the tribal villages and hamlets have no access to public transportation facilities and roads. They mostly depend on marginal farming, agricultural labor and unskilled work for their living. Sizable numbers of them are now landless laborers. Unsafe and inadequate housing is a major problem faced by tribal people. Houses with thatched roofing, weak foundations and flooring with mud and cow dung are typical conditions of the houses, and they require frequent repairs. Open defecation is vastly prevalent due to lack of awareness on sanitation and hygiene and absence of sanitation facilities. Low level of education and high school dropout rates are very common among Tribal children. Thane district where the project is located is homeland of five different tribal communities: Thakar (or Thakur), Katkari, Kokna, Koli and Warli. 14.74% or about 1.2 million of the Thane district’s total population is tribal. There are three Talukas(Administrative Blocks) where the tribals account for more than 90% of the population and there are three other Talukas where they are more than 50% of the population. The existence of hunger and malnutrition among the tribal children in the district has always been there for several years, mainly because of the large scale deforestation, shifting of the tribal habitats, chronic poverty among them, traditional beliefs, customs, superstitious practices, etc. combined with high level of illiteracy, poor infrastrure. Karunya Trust implements shelter and community development interventions for tribal communities of Thane district since 2008 to address their shelter and community development needs. The trust single mindedly works to eradicate Extreme Poverty and Hunger and bring social security to the marginalized and less privileged through shelter program. This thrust of Karunya Trust focuses on United Nations Millennium Development Goals : "Eradicate Extreme Poverty and Hunger." 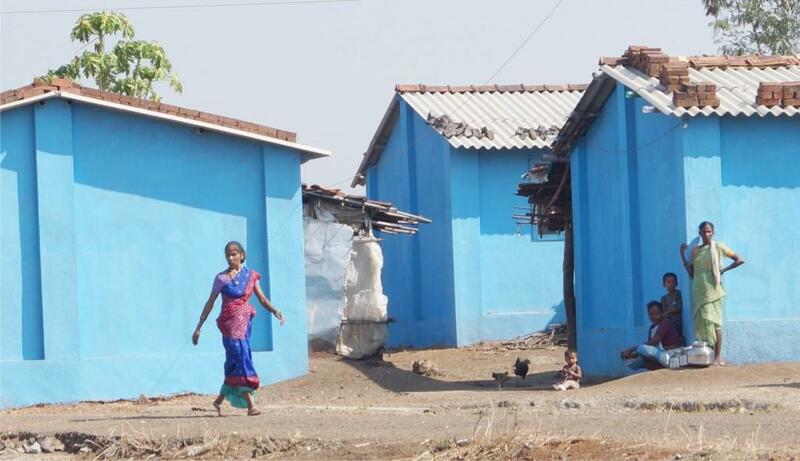 Housing for the disaster affected victims at the Ambernath and Kalyan Taluka's rural areas. As a Silver Jubilee memorial of the Diocese of Kalyan, a Housing project was inaugurated, in which 50 houses were provided. The beneficiaries of this project are the rural folk who are poor or handicapped or widowed and victims of disaster. These houses are under construction in Ambernath and Kalyan Talukas of Thane district.